Once again, The Avett Brothers do not fail to impress. The new album, Magpie and the Dandelion, is full of their classic sound, yet new melodies, harmonies, beats and ideas are prevalent throughout. The simple, yet unique guitar and banjo parts, accented by the piano, bass and cello will stir your heart. The drums entering at the end of the third verse have the same effect along with the rise in Seth’s vocals. Then comes the walk-up in the tag on the end of the chorus, instruments harmonizing with the vocals and one other, falling in unison. Love it. Listen to Bring Your Love To Me on Spotify and check out the whole album! to be had with no one else? The Low Anthem is a trio (now duo) from Providence, Rhode Island consisting of Ben Miller (vocals, acoustic guitar, electric guitar, banjo, drum kit, pump organ, trumpet, E flat horn, and rack harp), Jeffrey Prystowsky (bass, drum kit, vocals, pump organ, and acoustic guitar) and Jocie Adams (clarinet, vocals, pump organ, drum kit, electric guitar, and bass.) Jocie Adams has since moved on to pursue a solo career, but the music I’m highlighting here features her. The band shared on their site they are working on a new album, but I’m not sure of a release date. Sometimes their sound reminds me of early Bob Dylan on songs like Apothecary Love. Other times Ben Miller’s vocals remind me of Glen Hansard; like on School Days Are Over – their song with The Chieftains (below.) Enjoy! Local Minneapolis artist, Frankie Lee, will be performing tonight at The Ice House if you’re looking for a good show! BEEN HEARING IN MY HEAD. There isn’t much information about Frankie that I could find, but hopefully we’ll be hearing more about him now that his album has been released. At times, he reminds me of Ryan Adams, sometimes My Morning Jacket/Jim James, and at other times Bob Dylan. The song below was recorded with the Real-Phonic Band and portrays a little bit bluesier side of Lee’s music. For a very traditional country sound, you can also check out another local band, The Cactus Blossoms, at this show. Their music is reminiscent of Hank Williams and other patriarchs of the country and honky tonk genres. Especially the brothers’ honeyed harmonies, the twangy lap steel, lively fiddle and two beat rhythm. 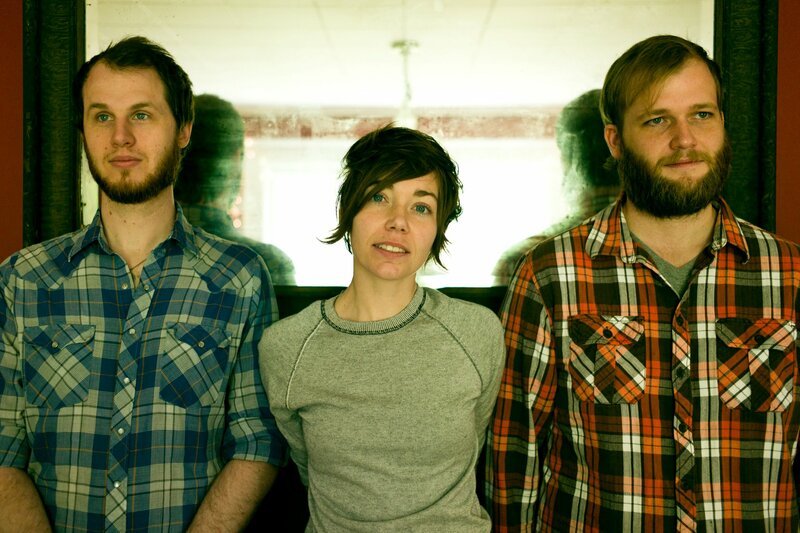 We’ve highlighted North Carloina based band, Mount Moriah, before on The Passerby and I’d like to share their new album, Miracle Temple, with you. You can stream the whole album for a limited time here. I would categorize the album as Americana, Alt-Country, or Country Rock. At times the album is more upbeat and feels like 50’s rock and at other times the drum beat is slow and steady and the guitar and pedal steel give it that twang, which I love. I think I Built A Town is my favorite track so far. This song has a Patti Griffin or Lucinda Williams feel to it – The kind of song you might expect to hear when you’re sitting down for a late night coffee and a slice of pie at a diner in the middle of nowhere USA. Listen to a couple songs, or the whole album (it’s worth it!) and post your comments below. It doesn’t appear they’ll be coming to Minnesota anytime soon – but if you want to skip work Monday you could head down to Chicago and catch their show at Schuba’s! Ben Kyle’s birthplace of Belfast, Northern Ireland, to me, explains his immense talent. The city is also the birthplace of Van Morrison, C.S. Lewis, and Amy Carmichael, to name a few extraordinary individuals. But what’s even more amazing to us proud Minnesotans is that Kyle has lived here in Minneapolis since the age of 13. His band, Romantica, is currently on a hiatus as Kyle and some of the other members pursue different projects. I have to say this is really my favorite type of music. Americana (Or Irish-Americana in this case), alt-country, folk-rock; whatever you want to call it is such a soothing, beautiful and sometimes sad style of music. I attribute much of this to the chilling harmonies and the unique sound of the pedal steel; which is one of my favorite instruments and is very prevalent in Ben Kyle’s music. I’m guessing most Metallica fans wouldn’t like this cover, but I really like that Lissie draws from the softer pieces of this song but keeps some of the rock feel to it. Her guitarist does an amazing job and I love the harmonies on this. Obviously the credit for the lyrics and composition of the song go to James Hetfield, but nevertheless, I really like this version. I’ve taken a bit of a hiatus from The Passerby Blog, but I decided it’s about time to get back to it. I know my faithful readership has been dying for these posts to recommence. Right? Anyone? 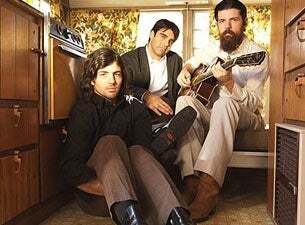 I am amazed at the way The Avett Brothers are able to describe thoughts and feelings in their music which the average person can relate to, but may have otherwise had trouble articulating. And that seems to be the mission of folk and country singers, going back many many years, to reach into the common man and tug on his heart strings. The Avett Brothers 2012 album, The Carpenter, is no exception to this. Particularly the song, Winter In My Heart. The imagery of the song is vivid. The melody is simple, yet beautiful and the strings accompanying them (I believe there is violin and lap steel) compliment the somber tone of the song perfectly. I’m excited to listen to this album more and delve into the tasty goodness within. Share your thoughts here if you’ve listened to the album! Theirs our changing, why won’t mine? P.S. Has anyone else noticed that much of the great music lately has come out of North Carolina?